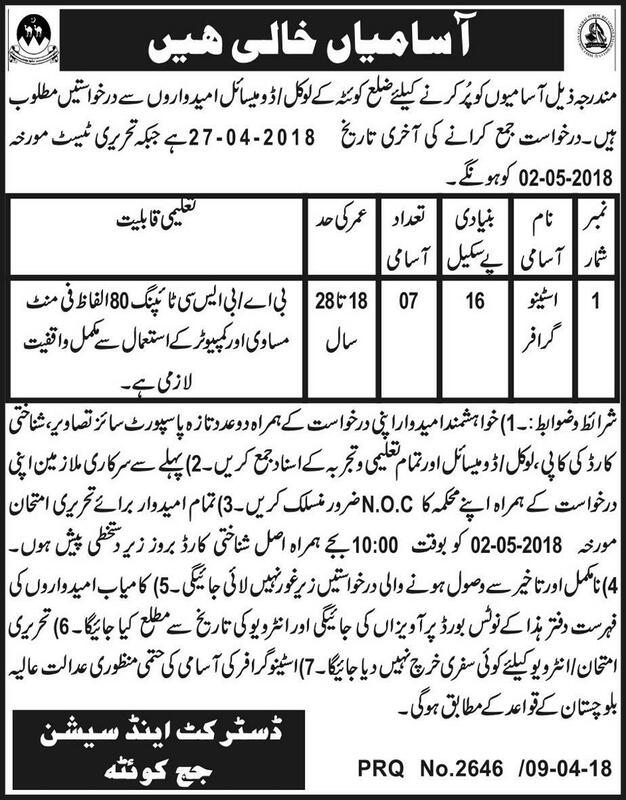 District and Session Courts Quetta has announced 07 new jobs in Daily Express Newspaper dated 11-03-2018. Candidates waiting for District and Session Courts Jobs 2018 can apply for the post of Stenographer (BPS-16) 07 Vacancies. Interested Candidates should submit Latest Photographs, Copies of CNIC, Domicile, and Education Certificates along with application. Candidates already working in government or Semi Government Department should Attach NOC Letter with Application. Incomplete or late Received Applications will not be entertained.